It took me absolutely ages and lots of planning to figure out how I would piece it all together. Then the sewing was tricky as it was all based on squares – it helped me get some great 90 degree sewing practice in, mind you! I backed it with jet black plain organic cotton, and stuffed it with organic cotton wadding. I wish I’d made it a bit bigger, but the sewing was taking me too long and my Christmas deadline was looming. It’s really ‘loud’ because all the fabrics are shiny and purple and pink and gold and things, but it’s totally my sister (who’s a bit mad) and I absolutely love it! 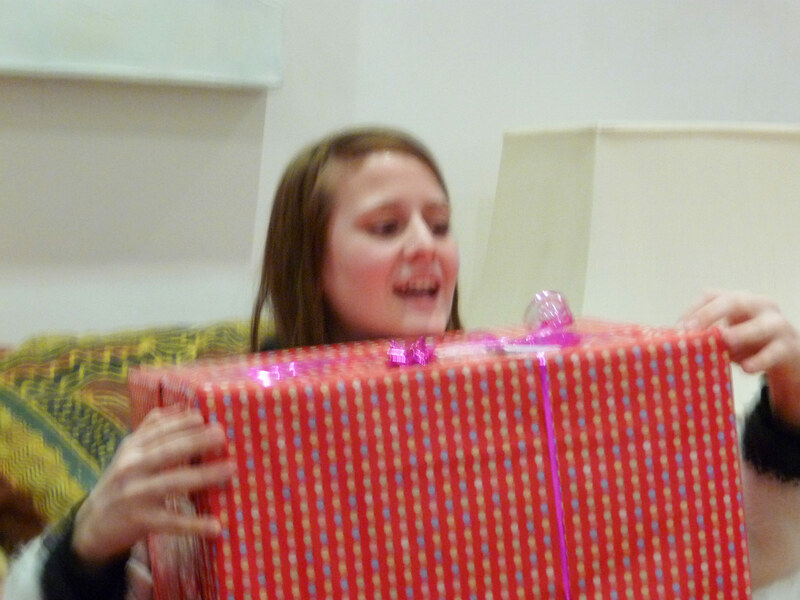 This is her opening it on Christmas Day! With the organic cotton wadding, it’s quite heavy, and it’s sooo warm! 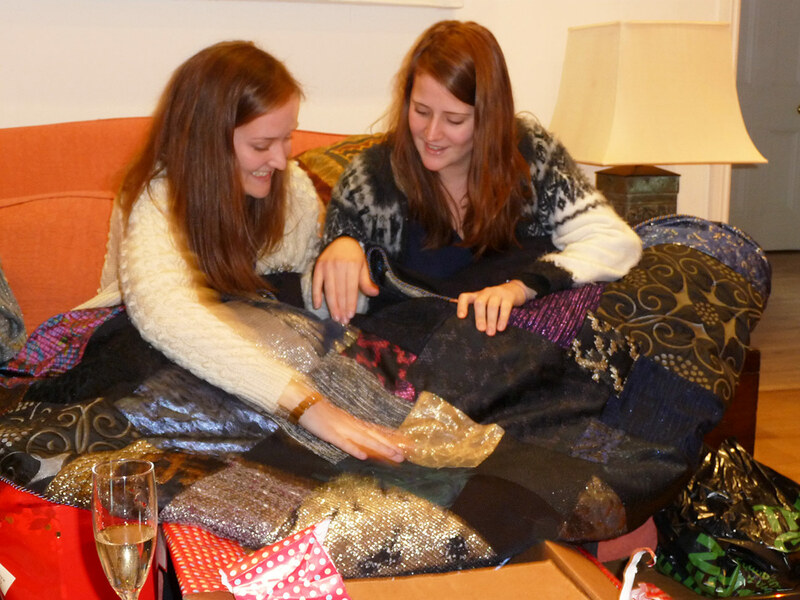 It now lives on her sofa in her amazing new flat in Bristol. Its pride of place makes me so happy (so I know she does actually like it), although I worry what her other half thinks of the sparkly, silver-ness of it all! I absolutely love the final result though, so am delighted for it it to be featured on the Offset Warehouse Wall of Fame!